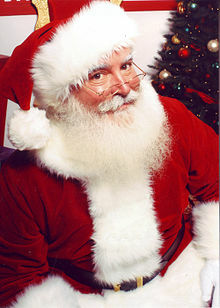 SANTA TO PARTNER WITH THE NATIONAL FEDERATION OF THE BLIND! ATTENTION: If you or someone you know has a child who reads braille, the National Federation of the Blind is Partnering with SANTA to Promote Braille Literacy! Baltimore, Maryland (November 14, 2016): Once again, Santa has enlisted the help of the elves at the National Federation of the Blind (NFB) Jernigan Institute to get Braille letters out to hundreds of blind boys and girls this Christmas season. Between November 14 and December 16, parents of young children, under the age of ten, can visit http://www.nfb.org and fill out a Santa Braille Letter request form. The form can also be printed and faxed to (410) 685-2340. Beginning November 28, the Braille letters from Santa will start going out to blind boys and girls across the country. The Braille letter will also be accompanied by a print copy for mom and dad to read and some other fun Christmastime activities. Requests for letters must include the writer’s name, the child’s name, birthday, gender, mailing address, a telephone number, and email address in case Santa’s helpers at the National Federation of the Blind have questions. The deadline for letter requests is December 16 to ensure that a return letter in Braille is received before Christmas. THANK YOU TO OUR COMMUNITY FRIENDS FOR YOUR CONTRIBUTIONS IN HELPING US HONOR OUR VETERANS TODAY AND THROUGHOUT THE YEAR! 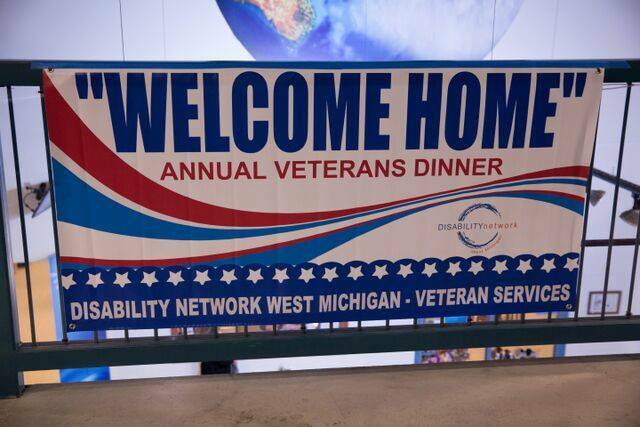 On this Veteran’s Day, we would also like to thank those for their generous contributions to our Annual “Welcome Home” Veterans Dinner honoring our disabled American veterans and to our Veteran Needs Fund. Special thanks to Sam’s Club, American Legion Post 9 Muskegon Heights, MI, Baker College of Muskegon, Goobers Bakery, The Northside Pub, Maranatha Bible & Missionary Conference, Frank Crews Quality Painting, Muskegon Elks Lodge #274, Trench Rats, Ever Rest Funeral Home & Ch…apel, Senator Goeff Hansen, Lascko Services, Shoreline Metal Fabricators, Accurate Income Tax & Accounting, Inc., O’malley’s Pest Control, Inc., Ginman Tire, Star Logic Solutions, Taylor Office Furniture, Disabled American Veteran’s Chapter 11, Rolling Thunder Inc, Michigan Chapter 4, Connie Nesbary International, LLC, USS LST 393 Veterans Museum, Muskegon Community College Center for Experiential Learning, Meijer, Maggie O’Toole, James Nielsen, Richard & Lynne Balkema, Mike Hamm, Laurels VFW Auxiliary 6898, Plumbs Corporate, The White House Gift Shop, Sharon & Ron Morzfeld, Wesley Geren, MLive Muskegon, United Way of the Lakeshore Muskegon in Focus Group. Thank you everyone! Are you influenced by the marketing practices of businesses who direct their efforts toward those with disabilities? An estimated 50 million people with disabilities live in the United States. No different than anyone else, we all share the necessity to shop for our needs and the desire to shop for what we want. It cannot be denied that 50 million people with disabilities have the power to significantly impact our national economy and beyond to our local economy. Recently, the Marketing Anthropology Project, a program of the National Business & Disability Council at the Viscardi Center, commissioned Cygnal to conduct a national survey to measure how consumers’ buying decisions were influenced by business practices toward individuals with disabilities. 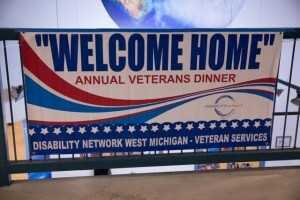 Part of the Disability Network of West Michigan’s mission is to promote accessible communities and inclusion. We actively seek out willing participants to evaluate their business practices so that they can be inclusive to all consumers. The survey’s findings alone should urge and highly motivate businesses to review their practices and adjust their targeted audiences to be more inclusive. People living with disabilities have incredible buying power. The businesses that learn, adapt and demonstrate inclusion will only benefit. REAL-TIME HELP ON ELECTION DAY! In 2012, one in five voters with disabilities experienced a barrier at the polls. To help resolve problems in real-time, The Arc is launching our new Voter Support Service app! Working with Election Protection’s national network of support, we are aiming to make it easier for people to report problems and get help as quickly as possible. This site is a simple, mobile-friendly way for people with disabilities to ensure that their vote counts. Voters can save the website to their phone home screen (instructions here) or download the app in Google Play or the App Store. We need your help to spread the word in your community! This is a critical election—every vote counts! Check out the Voter Support Service and share it with your network! Election day, November 8, is right around the corner. Several federal laws protect the voting rights of older Americans and people with disabilities and require accessible polling places. USA.gov/Voting has information on how to vote, voter registration requirements and deadlines, and locating your state or local election office website. The U.S. Election Assistance Commission offers 10 Tips for Voters with Disabilities (PDF). The U.S. Department of Justice Civil Rights Division has more information about voting laws, enforcement actions, and how to file a complaint if you feel your voting rights have been violated. Individuals living in long-term care facilities who have concerns about exercising their right to vote can contact their long-term care ombudsman program by looking them up at the National Ombudsman Resource Center. Some Area Agencies on Aging and Aging and Disability Resource Centers may offer rides. Visit the Eldercare Locator website to find one in your community. State Protection and Advocacy Systems (P&As) are another valuable resource. The Voting Access Program, Help America Vote Act (HAVA) administered by ACL, provides funding to P&As to support efforts to ensuring full participation by people with disabilities in the electoral process, including registering to vote, casting a vote, and accessing polling places. Obtaining training and technical assistance on voting issues. Each P&A determines the best mix of HAVA services to provide based on the needs of their community. To find your state P&A for requesting assistance with voting, visit this website and select your state. Finally, the Southeast ADA Center has compiled an up-to-date Resource List (PDF) with more information on accessible voting.